I am grateful to my friend Jane, who lives on Maui, who sent me a story from Hawaii News Now about a Hawaiian Civil War veteran who was recently honored with a headstone at his gravesite. It had never occurred to me that there might have been Hawaiian soldiers in the Civil War. When I googled those last six words, I was shocked to see that there were many, many Hawaiians in the Civil War, some on the Union side, some on the Confederate side. Well, it turns out that those soldiers I googled were white, the next generation of the missionaries and planters who settled in Hawaii. But this story is about an actual Hawaiian, and I will now only use that adjective to indicate an aboriginal of the islands. 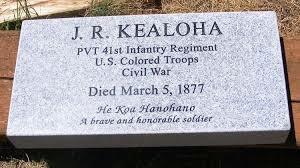 J.R. Kealoha, according to the news story, not only fought in but also survived the Civil War. He was buried in Oahu Cemetery and forgotten about until 2011, when a woman named Anita Manning came across his name in the Hawaii State Archives. She and others tried to get the Veterans Administration to put a headstone on his grave but were denied. A private donor stepped forward with this lovely memorial. Before I’d read the whole story, I just assumed that Private Kealoha fought for the Union. That he was put into the 41st Regiment US Colored Troops shouldn’t be surprising, I suppose. That he survived is, as when non-white soldiers were captured, they were not usually held even in the hellish prisons such as Andersonville, but immediately executed. One has to wonder what Private Kealoha’s life was like when he returned to Hawaii to find his country being made into an oligarchy by the Doles and other white businessmen. Unfortunately, nothing else is known about Private Kealoha’s life. Ironically, the white invasion of the Hawaiian islands began in earnest because of a Hawaiian boy named Opukaha’ia, called Henry Obookiah. The warrior Kamehameha (Ka-mē-ha-mē-ha) united the islands under one central kingdom in the late 18th century-early 19th century. This turned out to be a good thing for Hawaiians, though Kamehameha was a ruthless conqueror. Henry saw his parents killed by Kamehameha’s army in about 1802; escaping with his little brother on his back, the brother was killed by a spear. He also saw his aunt, with whom he was then living, thrown off a cliff for breaking the “kapu” (a no-no punishable by death) of eating with a male. He managed to gain passage on a trading ship to the US, ending up in New Haven. He was taken in by the president of Yale, Timothy Dwight, a man of missionary zeal. Dwight and members of the American Board of Commissioners for Foreign Missions started a school in Cornwall, CT, for “young heathens.” It opened with 12 students and the intention of educating them in order to send them back to their countries as missionaries. I chanced upon the marker of this school when I was in Cornwall last spring to hear a presentation about the excavation of a farmhouse that had been owned by a freed slave woman. Coincidence? Maybe not. The school didn’t last long, and neither did Henry, who died of typhoid fever. He had been an exemplary student and an exemplary convert, wishing to return to Owhyhee to convert his brethren. While he wasn’t able to do that, the ABCFM sent missionaries in his place. The first missionaries arrived in Hawaii in 1819, just after the death of King Kamehameha I and the ascension to the throne of his son Liholiho renamed King Kamehameha II, a milder ruler who immediately threw out a lot of the kapus that had to do with eating. Over the next 70 years, the islands became more and more Americanized, and in that process, diseases unknown to the islanders decimated the Hawaiian population by an estimated third. Not least of the diseases that killed were venereal diseases brought by sailors from whaling and trading ships; measles and typhoid also figured in. While Kamehameha II had given the first missionaries a four-year probation period, shiploads of missionaries eventually arrived as well. White people had never been treated so well. A succession of Kamehamehas allowed them to be part of the government in hopes of fostering trading relations. Americans who joined the government did have to renounce their American citizenship; they did it, but they did not renounce their American greed for land and profits. It would eventually be these white sugar and pineapple planters and businessmen, including the grandson of one of the first missionary couples, who led the 1893 coup d’etat that deposed Queen Liliuokalani after the death of her brother. They did have native help because, after all, when you’ve spent 70 years teaching people to want what you want, it works. There was also a counter-revolution by natives but that didn’t work. The first Dole on the island, Sanford, along with Lorrin Thurston, the missionaries’ grandson, led the way to the coup d’etat, spending years going back and forth to Washington, DC, to persuade the US government to annex the islands. President Grover Cleveland refused to consider it and, after the coup d’etat, asked the Dole administration to restore the queen to her throne. The President was basically told, it’s none of your business. What luck for the white men when President McKinley came into office along and brought along Teddy Roosevelt, who wanted to get his hands on more Pacific Ocean bases where the US Navy could tie up. Under McKinley and with Roosevelt’s enthusiastic backing, the US invaded the Philippines, Cuba, Puerto Rico, and annexed Hawaii in just four months in 1898. So Hawaii was annexed and held as a territory, basically a state without rights, for another 50-some years. There is still a legacy of anger for many Hawaiians, who do not consider themselves Americans. I’ve come to know several white Americans who live in, or have close ties to, Hawaii. They are all people who have embraced the native Hawaiian culture and, to my knowledge, have been embraced by the islanders. I hope to travel there some day, but not for the sun and the sand. 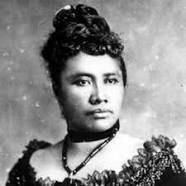 I would love to visit the place where Queen Liliuokalani was inspired to compose the song “Aloha O’e” and think about what the islands would be like had she remained queen. I never became an acolyte at the feet of Henry Thoreau as many of my peers did when introduced to his writings on civil disobedience in the 1960s. At a time when protest against American involvement in Vietnam was ratcheting up, Thoreau’s writings were an example to follow for young revolutionaries. However, there were living exemplars of nonviolent resistance putting their lives on the lines right then and there in the form of Martin Luther King Jr. and John Lewis et al, and Gandhi was not yet a historical figure to older members of the movement. As it turns out, there was an African-American abolitionist named William Whipper (1804-1876) who articulated a theory of nonviolent resistance at least 12 years before Thoreau, according to Thomas Lessl in a brief tract about Whipper in the book From African-American Orators: A Bio-Critical Sourcebook. 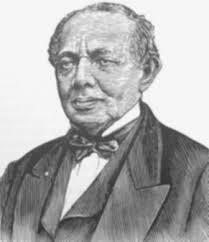 William Whipper was a free black who received a good education and put it to work to become an entrepreneur and one of the richest African-Americans in the country. He was an orator and journalist as well. Of his wealth, he put much of what he had back into the abolition movement and Underground Railroad both in Philadelphia and Columbia, Pennsylvania. His mother was a slave, his father a European-American. It is not clear whether his father owned his mother, or what his father’s name was. But the man did acknowledge William as his son and had him educated privately along with his white children. The father also shared left a timber and logging business to his “illegitimate” son. What separates Whipper’s philosophy from Thoreau’s was his Christian idealism and his belief in the original nonviolent resistance model, Jesus of Nazareth. As a younger man, he was clearly influenced by the Enlightenment and thought that reason alone might end slavery. As he grew older and more experienced, he turned more to his faith on which to base his abolitionist ideals. 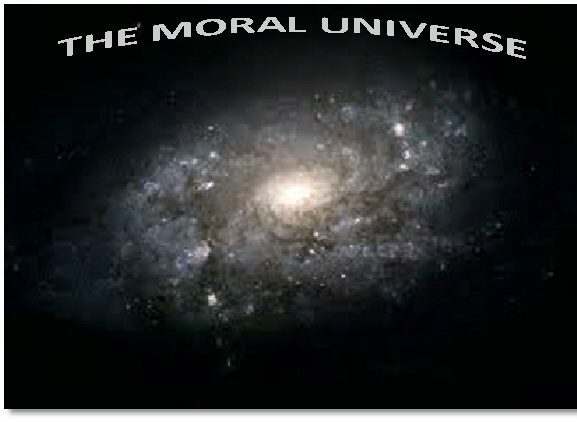 The inherent sinfulness of mankind made it obvious to him that reason alone would not solve this problem. So why isn’t William Whipper’s name more familiar to students of the abolitionist movement? Nonviolent resistance was not what a lot of abolitionists wanted to talk about, though. Neither was Whipper’s adherence to creating a biracial society, based upon his utter belief that we are neither black nor white but children of the one God, whom he often called the “Author.” More than a century before Stokely Carmichael and H. Rap Brown began to seek justice in a blacks-only movement, there were those who also wished to work only within the framework of African-American society. Perhaps Whipper’s parentage had a psychological impact on his desire not to cut off the white part of himself. No one could have worked harder, though, than he did in feeding and clothing the destitute slaves who came to him and then sending them on their way with money to freedom in Canada. He did this even after the Fugitive Slave Law was passed in 1850, under which he himself could have been imprisoned, and possibly enslaved, had he been caught.